In biomedical terms, acupuncture is a needling technique that restores internal homeostasis. As Christian Nix and Paul Raford state, acupuncture accomplishes this by “down-regulating a hyperactive sympathetic nervous system, thus disrupting and modulating the stress response”. Acupuncture also stimulates nerves to release a number of chemicals that can aid in muscle repair, pain relief, stress relief, and an overall sense of wellbeing. One way the body responds to acupuncture involves a process of nerve stimulation known as “axon reflex”. 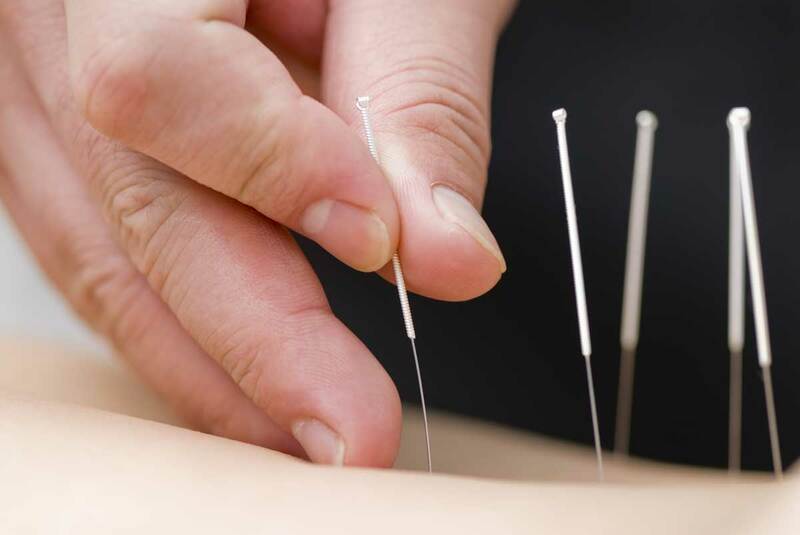 Acupuncture needles are used to stimulate the skin and muscles, which causes chemicals, such as calcitonin gene related peptide (CGRP) and ATP, to be released. Because CGRP is a vasodilator, this chemical dilates blood vessels, thereby increasing oxygen-rich blood flow to the immediate area. In turn, this fuels tissue and muscle repair, and effectively helps aid in the recovery of musculoskeletal conditions. Acupuncture can help relieve pain by blocking pain messages through a process referred to as the ‘segmental effect’. By gently stimulating specific points on the body, acupuncture triggers nerve signals to a portion of the spinal cord called the dorsal horn. This causes local cells to release the body’s own pain-suppressing mechanisms, such as a chemical called encephalin, which blocks further stimulation of the nerve. Since nerves supply large portions of the body, such as organs and muscles, blocked stimulation of one nerve will help block pain messages coming from a much wider area of the body. Nerve stimulation occurring through acupuncture will also propagate up from the spinal cord and into the brain. This influences many portions of the brain, including the limbic system, or the emotional center of the brain, thereby enhancing production of ‘feel good’ hormones such as adrenocorticotropic hormone (ACTH), endorphins, oxytocin, serotonin, and norepinephrine. The release of endorphins and oxytocin may be an important component as to why many patients describe their experience as sedating, calming, and relaxing. Acupuncture not only regulates body’s stress response but may also fundamentally recalibrate aspects of the primary Central Nervous System responsible for symptoms and severity of anxiety and depression. Acupuncture is the new thing in the medical industry today and a lot of people are considering it already. Good to learn more about this and know the many benefits of it especially in the health.